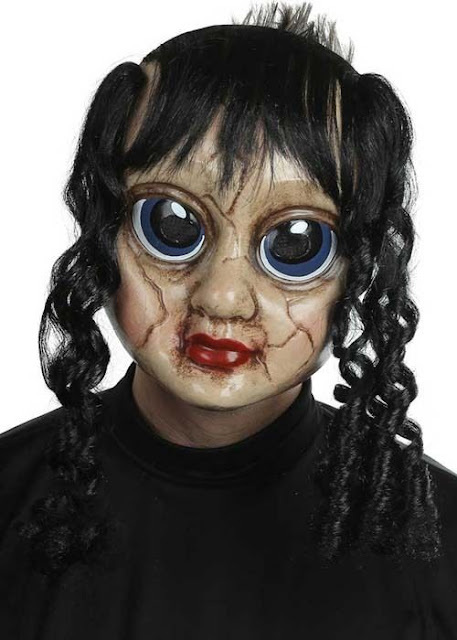 Combine your immense fear of dolls, children, antiques, bug eyes, etc and you get the absolutely sinister Sad Sally mask. Don't you think this is really disturbing? If you can find something scarier than this mask, I really want to know about it. Comment below and let me know what you think of this freaky mask!